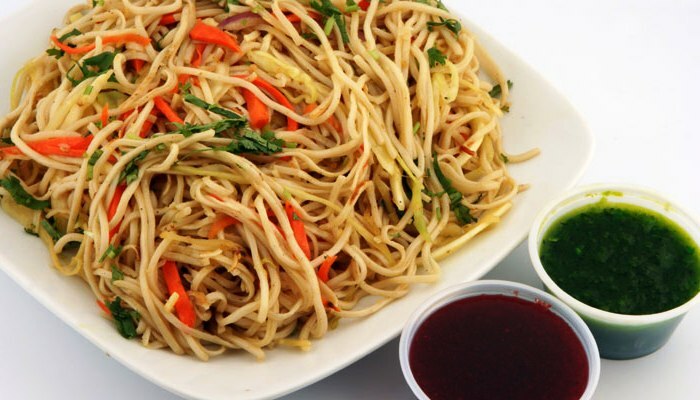 Hakka Noodle is quick and easy to make and perfect for hosting great parties. This is very favourite among kids and adults. In this the boiled noodles are stir fried with vegetables and sauces. Bring 3-4 cups of water and 1 tsp salt to a boil. Add noodle and cook till the dente. Do not overcook they turn very soggy. 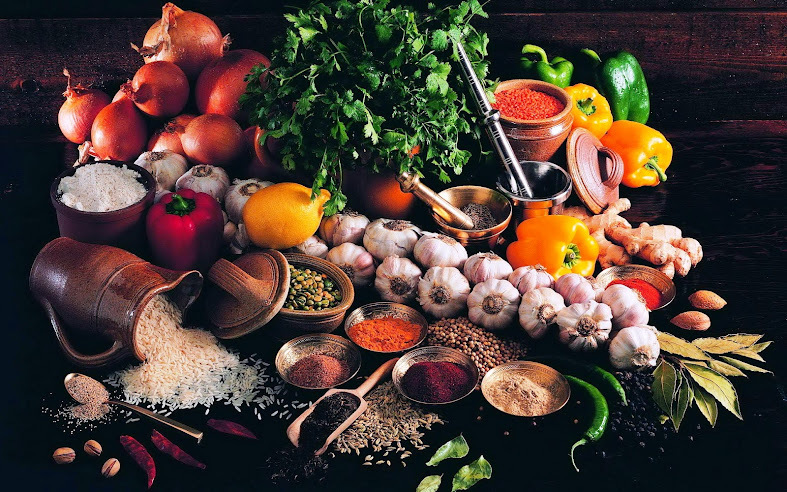 Drain off the excess water and rinse them under running water to remove excess starch. Leave them in a colander. Chop all the veggies as thin as possible. Keep aside. Heat 1 tbsp oil in a wide mouthed pan over medium flame. Add minced garlic and ginger and stir fry for 30 seconds. Add French beans and stir fry for a minute. Add spring onion, capsicum, cabbage and carrot. Stir fry vegetables until they are cooked but still crunchy for approx 2 minutes over high flame. Add soya sauce, chilli sauce, tomato ketchup, black pepper powder and salt. Mix well and cook for a minute. Add boiled noodles. 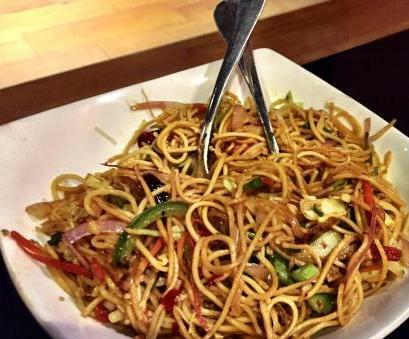 Mix and toss until noodles are evenly coated with sauces and vegetables for approx 1 minute. Turn off flame and transfer it to serving plate. Serve it with Hot and Sour soup or Dry Vegetarian Manchurian. To stay updated, please connect with us on Facebook, Twitter and Pinterest. Visit our yet another tempting online magazine on Fashion, Lifestyle, Celebrity, Travel, Gossip and many more on InstaMag!